Welcome to Street Fighter tips! : SFV is coming soon! Street Fighter V: The best of everything? So SFV is right around the corner! A lot of people have different impressions of the game whether good or bad. Why do some love it? Why do some not? Well it goes back to old school vs new school as well as experience. So right off the bat, most OGs love SFV so far. Reminds them of the good ol' days. Commitment to reversals and having to deal win punishes, strong return to the ground game, less gimmicks (so far). On the flipside a lot of "09ers" tend to not like it. Where is my FADC? Backdash isn't invincible! Reversal punishes are too harsh! The new school players feel like they are losing a lot while the old timers are back to familiar territory. I don't blame new school people for not liking it. All they know is SF4, so it understandable. That being said things from SFV have taken a lot from past games which I'll go over here, which us older guys love. V-reversal is essentially a Alpha Counter. The core difference is it has been either too strong (Alpha 2) or too weak (Alpha 3). CvS2 version was very balanced imo. A1/A2- Awesome damage, safe in most situations. You could OS a reversal easily though and if they did a AC you would DP or super it. Rose's was the biggest offender. You could not OS her grab AC and she built 1/3 a bar for doing it. It could kill. A3- Permanent guard stock loss for the round, could not kill, lower damage. CvS2- You took guard damage and would knockdown opponent. In SFV to get pressure off you, instead of mashing backdash or mashing DP, do this. I don't think the newer guys understand how good a counter is. Now the damage you take if recoverable grey damage, but it removes some of your stun AND knocks your opponent down. Stun reduction is huge and definitely worth doing if you are close to being stunned. Also you can quick rise or backwards recovery anything with the rare occasional special. Hard knocks downs only occur on crush counter sweeps for the most part. In 3S only super (iirc) cause hard knock down. Goodbye vortex. Of course the stun bar. Damage. This game punishes hard. Any bad read to make you will lose a lot of life and fast. Another similarity is you get little damage from light attacks with out super (same for 3S and Alphas). I went over Alpha Counters, but CvS2 was about counter hits as well. SFV implements that and beyond with the crush counter system. So there's that. That might not be everything, but some things to show you why we like it. It also keeps you honest. No more backdashing to safety or safe reversals. You can't always OS on your opponents wake up. Now you must deal with whatever happens when you are up close. I really like the V-Trigger system. It opens up more combos and mix ups. It essentially replaced FADC as a core mechanic. It is a comeback mechanic that gives you the tools to come back, but you must earn it. Everyone's is different and fun. V-Skills are new as well. It is basically a special move with different properties. A few are great and some are underwhelming. Birdie's I feel is the best right now. He has three that are all good and he is the only character who can keep his activated VT active by using V-Skill. Two button throws- I just always thought 1 button throws were fine. The only reason I can think Capcom doesn't go back to it is to prevent anti jump throws from being a thing. An example of that is CvS2 Maki, her kick grab with s.hk would hit someone trying to jump away. Pushback- The push back on certain things are very very bad. Sweeps are a perfect example. They are always punishable because they push back is near non existent. Older games there were sweeps are bad as -16, but you were safe if spaced well (depending on opponent and meter). Frame wise the projectiles in SFV are better than some games, but have little push back making them unsafe from almost anywhere. Nerfs in the Beta- Some things have been nerfed are unwarranted outside maybe not being intended. Even still it wasn't game breaking. 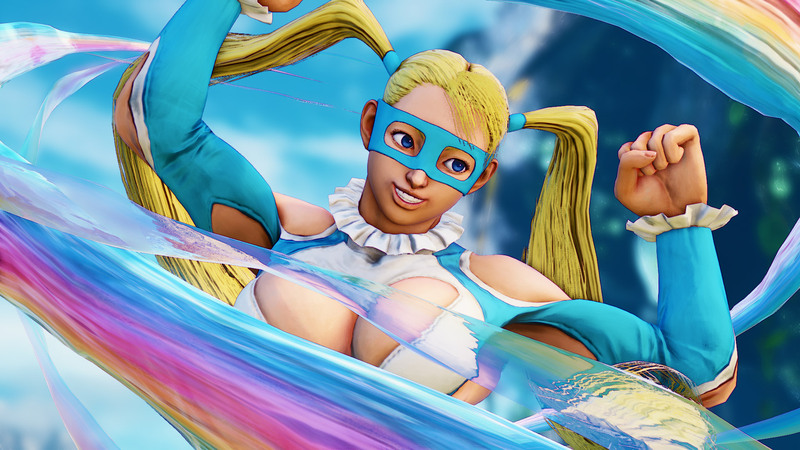 Example...R.Mika's Irish whip wall bounce midscreen. It gave her a new midscreen combo path that did about a pixel more than a combo ending in midscreen Flying Peach. The trade off was you were back at neutral. For one pixel. Flying Peach left you at a much better position directly into a mix up. Overall the wall bounce combo was worse. It was still removed. There could be reasons not known to us beta testers, but Capcom doesn't release reasoning on changes like Riot Games do. This one kind doesn't count since it is a BETA, but if left like that in the final product Ill be sad, lol. Slighty more than a month til SFV drops, see you all online!